Jungle Boy is the son of actor Luke Perry. November 20, 2015 – UEW: Ray Rosas defeated Nate Coy in the 1st round. January 23, 2016 – UEW: D’Marco Wilson defeated Daniel Sanchise, Evan Daniels, Marce Belmana, Nate Coy and Red Bat in a 6-way elimination match. February 20, 2016 – UEW: D’Marco Wilson defeated Nate Coy. March 12, 2016 – UEW: Biagio Crescenzo defeated Nate Coy. April 2, 2016 – UEW: Che Cabrera defeated Nate Coy. April 23, 2016 – UEW: Nate Coy defeated Steven Andrews. May 14, 2016 – UEW: Nate Coy defeated Donnie Suarez. May 15, 2016 – RIW: Misterioso Jr. and Teddy Hart defeated D’Marco Wilson and Nate Coy. June 4, 2016 – UEW: Human Tornado defeated Nate Coy to retain the Internet Television title. June 11, 2016 – UIPW: Jungle Boy was in the vacant Internet title battle royal won by Enigma. June 25, 2016 – UEW: Peter Avalon defeated Nate Coy. July 9, 2016 – UEW/UIPW: Bobby Raze and Super Natural defeated Biagio Crescenzo and Nate Coy. July 15, 2016 – Hope Indy Pro/Lucha Libre Mexicana: Biggie Biggz and Nate Coy defeated Biagio Crescenzo and Donnie Suarez. July 16, 2016 – UEW: Ray Rosas defeated ?? ?, Biagio Crescenzo, Guy Cool, Max X, Mike James and Nate Coy in a 6-way match. July 23, 2016 – UEW: Nate Coy defeated Biagio Crescenzo. July 30, 2016 – Hope Indy Pro: Nate Coy defeated D’Marco Wilson, Donnie Suarez and Max X in a 4-way elimination match. August 12, 2016 – SCWA: Adrian Quest defeated Nate Coy. Nate Coy was also in the rumble match won by Eric Watts. August 13, 2016 – UEW: Biagio Crescenzo defeated Nate Coy. August 21, 2016 – Hope Indy Pro: Brian Cage, Candy White and Steve Pain defeated Bobby Rios, Katie Forbes and Nate Coy. August 24, 2016 – SBW: Robby Phoenix defeated Hoss Hogg, Nate Coy and Terex in a 4-way match. September 3, 2016 – UIPW: D’Marco Wilson and Nate Coy defeated Ricky The Activist and Shiloh Greaves. September 10, 2016 – HATE You Can’t Sit With Us: Tyler Bateman defeated Nate Coy. October 1, 2016 – UEW: David Rage vs. Nate Coy ended in a double count-out. October 22, 2016 – UEW: David Rage defeated Biagio Crescenzo, Daniel Torch and Nate Coy in a 4-way match. November 5, 2016 – GRPW/APW: The Super Beast defeated ??? and ??? and ??? and ??? and ??? and ??? and ??? and ??? and Cowboy Charlie and Eki Sol and Nate Coy and Richard Shhhnary in a last chance battle royal. November 19, 2016 – PWR: Colt Stevens, JR Kratos and Papo Esco defeated El Mariachi Loco, El Ultimo Panda and Jungle Boy. November 20, 2016 – UEW: Nate Coy defeated Darwin Finch in the 1st round. Nate Coy defeated Mike James in the semi-finals. Nate Coy defeated Angelo Salvatore to win the West Coast Cruiser Cup 2016. January 14, 2017 – UEW: Max X defeated Nate Coy. February 17, 2017 – APW: Vinny Massaro defeated Nate Coy. February 25, 2017 – PWR: Jody Kristofferson, Nate Coy and Pantera Jr. defeated Cazador del Alma, Grappler III and Jacob Fatu. May 6, 2017 – APW: Nate Coy was in the battle royal won by Jacob Fatu. May 26, 2017 – APW: Nate Coy defeated Bison Braddock, Douglas James and Joe Graves in a 4-way match. June 4, 2017 – GRPW: Nate Coy defeated Marcus Lewis. July 7, 2017 – APW: Bison Braddock defeated Amish Johnson and Jeckles and Johnny Dynamo and Manny Mars and Nate Coy and Styker and The Berkeley Brawler and Vinny Massaro and Will Roberts in a Gauntlet To The Gold. July 15, 2017 – MPW/SCWA: Biagio Crescenzo defeated Amazing Jr., Nate Coy and V-Pacalypse in a 4-way match to retain the SCWA cruiserweight title. August 18, 2017 – APW: Jacob Fatu and Nate Coy defeated Funny Bone and Sinn Bodhi. September 22, 2017 – APW: Jeckles defeated Nate Coy. October 7, 2017 – APW: Joey Ryan defeated Nate Coy. October 15, 2017 – Dungeon Championship Wrestling – Reborn: Phoenix Star and Ultimo Shamu defeated Nate Coy and Tiger Lightning Star. November 10, 2017 – APW: Nate Coy was in the battle royal won by Chicano Flame. November 18, 2017 – APW/GRPW: Cowboy Charlie and Nate Coy defeated Ohnu and Super Beetle in the 1st round. Nate Coy defeated Cowboy Charlie in the semi-finals. Chris Bey defeated Jake Atlas, Manny Faberino and Nate Coy in a 4-way elimination match to win the Young Lions Cup. February 3, 2018 – BWCW/XBW: Nate Coy defeated The Devil’s Right Hand in the 1st round. Nate Coy defeated Justin Mane in the 2nd round. Alex Weir defeated Nate Coy in the semi-finals. February 24, 2018 – PWR: El Prostipirogolfo and Jungle Boy defeated La Migra (??? and ??? ), Arkady Federov and El Dinamita & Jacob Fatu and Marcus Lewis in a 4-way tag team match. March 10, 2018 – PWR: El Prostipirogolfo and Jungle Boy defeated The Border Patrol (Colt Stevens and JR Kratos) to win the tag team titles. March 17, 2018 – APW: Styker defeated Nate Coy. May 27, 2018 – IWRG: El Hijo de Dos Caras, El Hijo del Medico Asesino, Mr. Electro and Silver King defeated Jungle Boy, La Migra, Ultimo Panda and Vapor by disqualification. May 27, 2018 – Toryumon Mexico: Douki, Jun Akiyama, Musashi and Zeus defeated Jungle Boy, La Migra, Vapor and Vinny Massaro. June 22, 2018 – APW: Nate Coy defeated Bison Braddock and Johnny Dynamo and Marcus Lewis and Rik Luxury and Steven Tresario and Tripp Cassidy in a gauntlet match. August 11, 2018 – CWFAZ TV #91: Falco defeated Nate Coy. August 17, 2018 – APW: Nate Coy defeated Manny Faberino, Marcus Lewis and Steven Tresario in a 4-way match to win the junior heavyweight title. 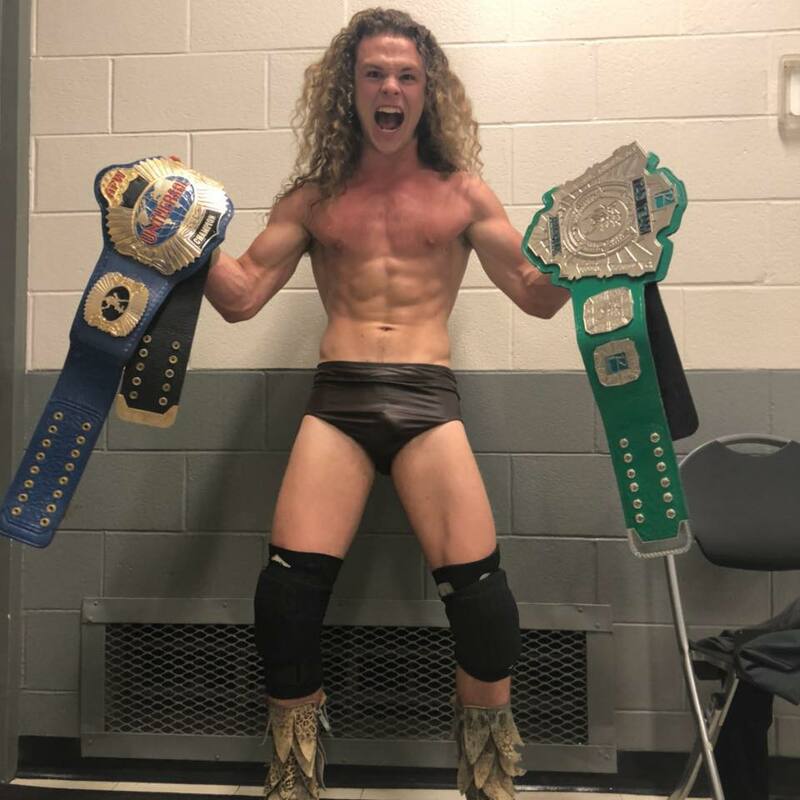 September 21, 2018 – APW: Nate Coy defeated Steven Tresario to retain the junior heavyweight title. October 20, 2018 – GRPW: Jeff Cobb defeated Jungle Boy. November 16, 2018 – GCW Joey Janela’s LA Confidential: Tony Deppen defeated Jungle Boy. December 19, 2018 – Bar Wrestling 26: Eli Everfly defeated Jungle Boy. December 29, 2018 – GCW: Jungle Boy defeated KTB. December 30, 2018 – SFP: Jake Atlas defeated Jungle Boy. January 12, 2019 – GCW: DJ Z defeated Jungle Boy. January 16, 2019 – Bar Wrestling 28: Ray Rosas defeated Jungle Boy. January 18, 2019 – PWG: Brody King defeated Jungle Boy. January 31, 2019 – Bar Wrestling 29: The Jungle Boy defeated Aaron Solow, Andy Brown and Luchasaurus in a 4-way match. 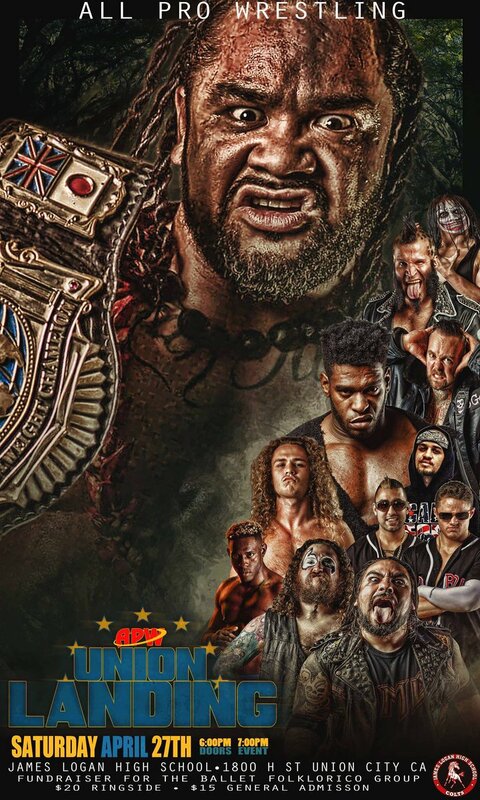 February 15, 2019 – ICW: Jungle Boy defeated Azrieal. 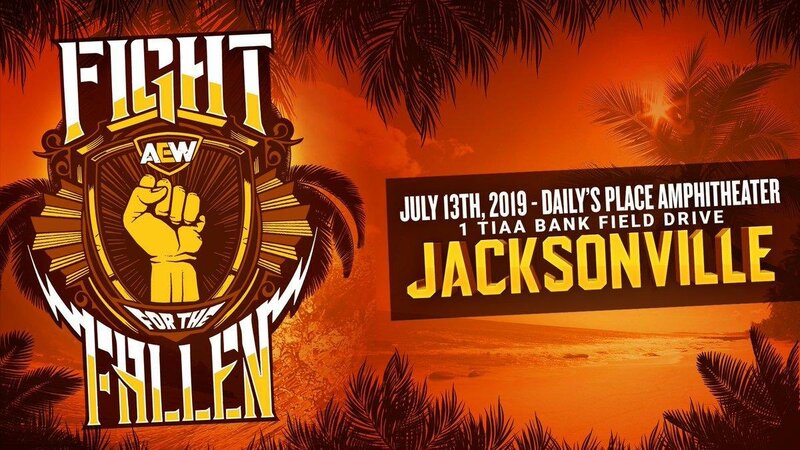 February 20, 2019 – Bar Wrestling 30: High Risk Wrestling (Brandon Cutler, Delilah Doom and Eli Everfly) defeated Land Of The Lost (Jungle Boy, Luchasaurus and Solo Darling) in the 1st round of the Trios tournament. February 21, 2019 – Bar Wrestling 31: The Handicapped Heroes (Gregory Iron and Zach Gowen) defeated Andy Williams and Pepper Parks, Eli Drake and Ryan Taylor & Jungle Boy and Luchasaurus in a 4-way tag team match. February 24, 2019 – SFP: Darby Allin defeated Jungle Boy. Taking care of each other starts long before the bell rings. Be a leader. Support, encourage, inspire, and motivate those around you. Fight For The Fallen Pre-Sale begins tomorrow, April 18th, at 9am ET. Saturday July 13th, Jacksonville Florida! Proceeds from the gate to benefit Jacksonville's Victim Assistance Advisory Council (VAAC)!